This Spring I’ve been working as an intern with the artists at Master Craftsman Studio. On a day to day basis, I ask if anyone needs help with their current projects and I help with whatever I can. I have gotten the opportunity to work on many different interesting projects and learned a lot from each of them. When I started, I said that my main goal or desired outcome for the internship was to work with as many new materials and methods as I can and this process of helping out with whatever I can each day has absolutely facilitated that. Some days I’ve worked on the laser etched bricks that are laid around Westcott fountain and others I’ve helped make fused glass dishes for the College of Social Work. 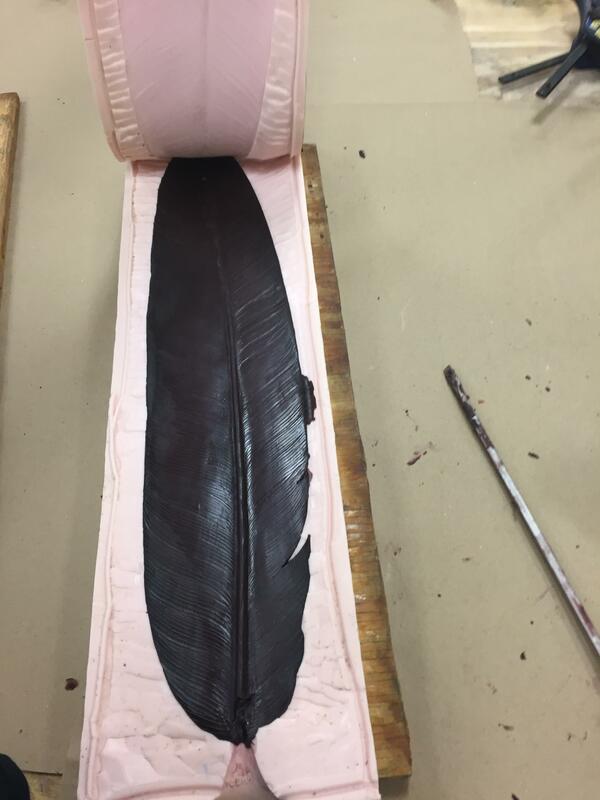 The project that I’ve put the most time into and learned the most from has been casting wax feathers like the one pictured which will be used to cast bronze feathers for a statue on campus. 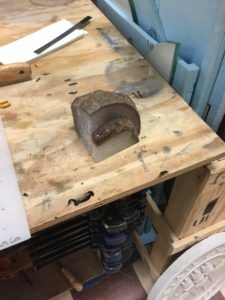 I not only learned valuable techniques for pouring hot wax in molds, but I also got to practice a lot with wax welding and repairing imperfections which is a skill I have since used in my mold making class at FSU. 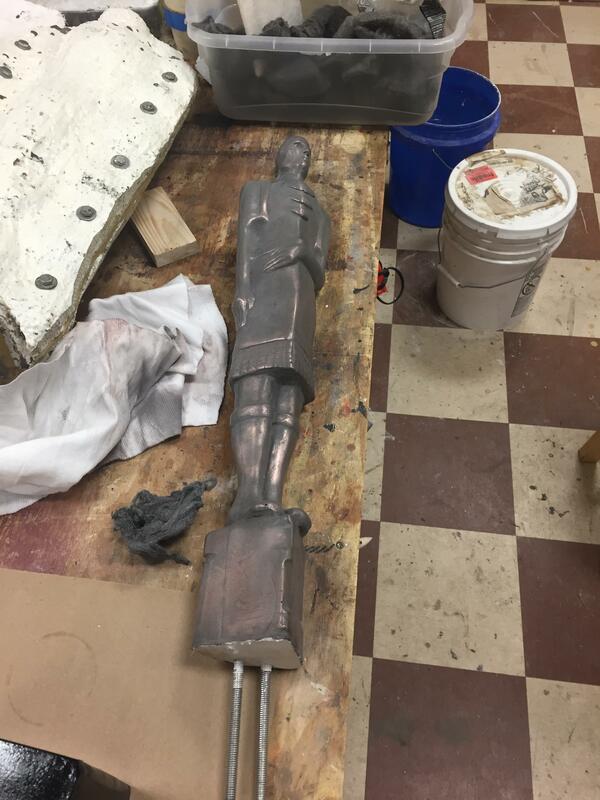 I also got the chance to work on the homecoming trophies for the upcoming year. Those projects are really gratifying for me because I get to see my developing artistic abilities being practically used and appreciated by others. My favorite thing about Master Craftsman is having access to materials and tools that I otherwise wouldn’t be able to experiment with. I also appreciate the community of great artists who encourage me to learn through working on my own projects. One of the artists, Chris Horne, showed me how to use the tile saw to cut a slice of an agate bookend, and then how laser etching affects that material because neither of us had worked with it before. That type of learning opportunity has been invaluable to me and for that I’m grateful to be working at Master Craftsman Studio.